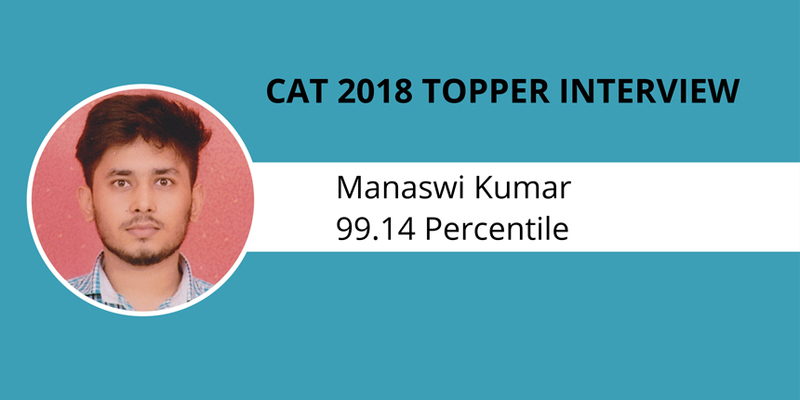 CAT 2018 Topper Interview: Manaswi Kumar won the battle of CAT in his second attempt with 99.14 percentile. As compared to his previous attempt, where he secured 66 percentile, the leap is indeed huge! He proved that with systematic preparation and the right guidance, no barrier is big enough to cross. In Manaswi’s own words, one has to win the mental battle first. In this CAT 2018 topper interview by Careers360, Manaswi shares his preparation strategy and exam day experience. An avid football fan, who considers Cristiano Ronaldo as his idol dreams to join IIM Ahmedabad and pursue a career in Marketing. He also suggests that CAT is an unpredictable exam and one must not try to predict the sectional difficulty level based on previous years’ trends as it keeps changing every year. Read on to know more about Manaswi’s journey to success. Careers360: Congratulations on securing over 99 percentile in CAT 2018! What was your reaction? Were you expecting this? Manaswi: Thanks. It was quite a journey from 66 percentile last year to 99.14 this year. I had a raw score of 160 and was expecting percentile around 99.3+, but as scaling affected morning slot users, I got a final score of 157.6. Still a great progress, and a step closer to my dream. Careers360: What are your overall and sectional percentile and scaled scores? Manaswi: My overall percentile is 99.14. I got 94.92 percentile in Verbal Ability and Reading Comprehension (VARC), 97.27 percentile in Data Interpretation & Logical Reasoning (DI & LR) and 99.28 percentile in Quantitative Ability (QA). Careers360: Tell us something about your background. Manaswi: I have graduated in June 2018 from Beant College of Engineering & Technology, Gurdaspur, Punjab, and my specialisation was Electronics and Communication Engineering. I have an average academic record, 87.40 per cent in 10th, 75.80 per cent in 12th, and 76.11 per cent in B.tech. My parents are government servants. Careers360: How was your exam day experience? Manaswi: It was a very normal day. My exam was scheduled in the morning slot. I ensured enough sleep on the previous night before the exam. CAT not only checks your exam knowledge, but also your mental strength, and how you can handle exam day stress. So, I had a plan prepared for the last seven days in advance. This was the idea of my teacher, and according to the plan I took my last mock on November 20, and in the last four days, I didn't study. Just played my FIFA games (after 11 months), watched a few sitcoms, and read a book. These worked wonders! I was extremely calm on November 25, and remarkably it was unprecedented. Careers360: What was your preparation strategy for CAT? Manaswi: I took CAT last year without any preparation, and eventually didn't fare well. So, I joined Mbaguru in January 2018. They took a minor test as SWOT analysis. The test scores marked my English as weaker, and Quants as strong sections. So they scheduled adaptive lessons for my English. I adhered to my mentor's advice and started reading newspaper, novels, and making vocabulary. I wrote 21 words daily which I found in any newspaper or any site which I don't know about. I never knew that these practices would help me so much especially, in NMAT by GMAC where I got 228 in the first attempt, and many such exams. In DI & LR, I had negative marks in CAT 2017. So it needed much more effort. But, what I learnt in coaching that you did not need to solve all questions. Here the selection of questions is paramount. Another factor in faring well in DI & LR is to make strategies of how to attempt and confirm through mocks which strategy works for you. I got zero in one mock, and in very next mock 100 percentile in DI & LR. For Quant, I got all my doubts cleared in and even outside the class from my mentor. Since my Quant was strong, extra questions and books were provided to me which really helped as this year QA's difficulty increased significantly. Careers360: What according to you were the toughest and easiest sections? Manaswi: English was definitely easiest as 61 marks fared just 94.92 percentile. DI was easier than mocks which I practised. Quant's difficulty increased significantly from last year. So, it's a very unpredictable exam, and for everyone who is targeting CAT 2019, never stop at any level keep on increasing difficulty as you never know which section may end up damaging your whole score. Careers360: How did you tackle your strong and weak areas? Manaswi: My English and DI were weak areas. So, working on vocabulary, reading novels, and taking a lot of mocks (I took 43 mocks) eased out these subjects. For Quants, I became aggressive and started attempting questions in the fastest way possible while maintaining accuracy. I realised that I have certain topics like Mensuration, Permutation & Combination in maths, para jumbles in English as weak topics just two months before CAT. I got different faculties as I wished to learn in different ways, and It really worked out. There was one question from frustum, and another from P&C in CAT, which I wouldn't have solved earlier. Careers360: What was your time management strategy with respect to preparation as well as exam day? Manaswi: I tried different strategies during 43 mocks from various institutes. What I opted for D-Day is, in VARC, I first solved all RCs before moving to VA. As RCs were much easier than mocks, I finished in around 40 minutes, and then subsequently I solved verbal questions in the remaining time. For DI & LR, I spent the first eight minutes selecting questions and arranging them according to their difficulty level. My strategy was clear, even if I am stuck on a puzzle which seems easier, I won't spend more than eight minutes. I may solve two questions of that puzzle or three, I will move forward. By this way I attempted a fair number of questions with around 85 per cent accuracy, I got more than 97 percentile. This section was the biggest improvement as I had negative marks in DI & LR section of CAT 2017. For Quant, I realised very early that section was tougher than last year. I focused on accuracy and got 19 out of 22 attempted questions correct. I might have underperformed in this section when compared to mocks, but it gave me percentile in excess of 99. Careers360: How helpful was your coaching institute for you? Is it possible to succeed through self-study? Manaswi: My coaching institute has a huge contribution to my success. I have no words to define their contribution. Their faculties were great. After CAT was over, they guided me to prepare early for GD/PI rounds. It's really possible to crack it from self-study, but a good coaching institute shapes your thoughts in the right direction and provides a conducive environment for success. Careers360: What are the factors behind your success? Manaswi: Self-motivation, discipline, and perseverance were my best friends. These may sound very cliche, but I never missed a single class, not even optional ones. I adhered to my faculties' instructions with full commitment. Fluctuating scores in mocks seemed to me as work in progress rather than getting disinterested. 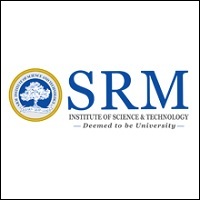 Anyone who is aspiring in any exam of India must understand setbacks are part of the journey. Resurgence and Perseverance complement the hard work. Careers360: Have you started preparing for GD/PI/WAT? Manaswi: Yes, I had started as early as December 5th. I have been writing WATs and getting evaluated by faculties. Now, proper classes have begun guiding us through different processes like PI/CD/GD/GI etc. Careers360: Which other MBA entrance exam have you appeared/appearing for? Manaswi: I took NMAT by GMAC and my score is 228 in the very first attempt. In MICA, I scored 45.50. IIFT and XAT results are awaited. Concurrently I cleared both prelims and mains paper of IBPS PO/MT VIII in the first attempt. Careers360: What is your dream B-School? After that, what career do you want to pursue? Manaswi: My dream B-school is IIM Ahmedabad. 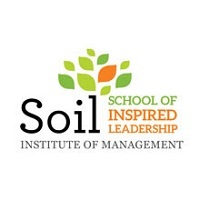 Others which intrigues me are IIM Calcutta, FMS, SP Jain, and NITIE Mumbai. I want to do my post graduation in Marketing. Careers360: What are your hobbies? Manaswi: My hobby is to collect discount coupons, figure out which offers are trending, and how can I maximise discounts on literally anything or service anyone could aspire for. In short, I can find the best possible discounts you can avail from any specific store or company. Apart from these, I love watching European football matches, and comedy sitcoms. Shin Chan, The Big Bang Theory, How I met your mother are few of them. Careers360: What were your relaxation and recreation methods you followed amidst preparation? Manaswi: Playing Fifa lan games is my favourite relaxation, but to avoid distractions I opted for reading novels, watching sitcoms, and following Football Club Barcelona's matches. Careers360: Do you have any idol who you follow? Manaswi: I don't follow any idols in particular, but I am inspired by Cristiano Ronaldo. It's strange enough for someone whose favourite player is Lionel Messi. But his never to die attitude, when Messi had won 4 Ballon D'Or in 2012, and he had just one inspired me for CAT 2018. That time no one could ever imagine if he can ever match the tally of Messi. But, he did. So, this motivated me, and despite pretty average academics with 'GEM' tag, I never let negativity capture my thoughts, and here I am giving this interview. Careers360: What is your message for next year's CAT takers? Manaswi: My message is simple, win the mental war first. This is where the race is won or lost. Get rid of negative thoughts, and especially, those friends who question your hard work, and will try to persuade you that you can't do it. Believe me, if a guy like me can do it, you can always do it. Best of luck with your preparations. Work hard, and be true to your self.